I recently made an in-depth review of the worst Initial D game ever made, Mountain Vengeance! This 33 minute video took 100+ hours and was made out of my love for the anime and the Arcade Stage series. Some of you on here have probably already seen it, but I figured it was worth sharing. The views that I have gathered in such a short amount of time are insane. 1. I did not rev the engine to 8,000 RPMs. I went into my car's gauge test mode. 2. I have never driven a manual in real life before. I'm well aware that I didn't do it properly, it just wouldn't have been the same without it. The car is my friend's junked 1970 Datsun Roadster. 3. I'm American, but the entire opening scene was mirrored to produce a fake right hand drive on the left side of the road effect, since that's how it is in Japan. I even changed the digital speedometer to KPH. 4. I'm aware that I didn't pronounce some of the names and courses properly. That was due to 5 hour voice over sessions and just wanting to get them done and through. 5. See if you can spot all the references in the opening. The shoes are one of them. Feel free to let me know your thoughts. Thanks! 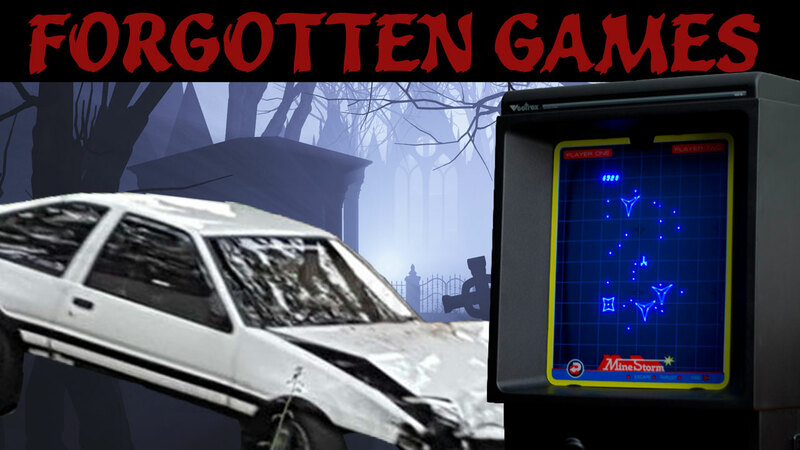 Welcome to the forums Vectrex！This was really funny .. I haven't had a good laugh since the Overdrift guys did the dino dimension drift videos. I had read that Mountain Vengence was bad when I reading MidnightViper (I think.......)'s FAQ on IDAS v2 on GameFAQs back in the day.........I just never realized it was THAT BAD. Played this before back in a year ago, and good lord was it bad. It's like Big Rigs but with a lot of frustrations, at least Big Rigs was so bad that it's funny good, but not Mountain Vengeance. I swear if I hear Initialize again I am gonna strangle the person playing that thing next to me. To be honest, I've had this in my recommendations for over a month, but I never really clicked on it, because I didn't think there was much new to say about this dead horse of a game. Well I finally watched this some days back thanks to this thread convincing me, and I can safely say I was wrong in that assumption - This was actually a really well done review, and certainly far better than I was expecting any vid on a game like this to be. So yeah, I think I'll be following your channel from now on if this is the sort of quality I can expect from it. And yes, as said in the post above mine, it basically is a worse Big Rigs. Less broken than Big Rigs, yet all the lesser for it. Valusoft really wasn't ready to move away from all the budget drag-racing games they were making beforehand - They could actually make half-decent games when they literally didn't have to worry about cornering physics at all. The typing game works like it's supposed to. Mountain Vengeance does not.